Bainbridge Subdivision — The Land Group, Inc.
Bainbridge Subdivision stands out in the quickly developing suburban landscape of Meridian, Idaho with its impressive entry monument and eye-catching perennial planting palette. Working within the complex irrigation and drainage infrastructure that exists on site proved to be somewhat of a challenge, but the team was able to work together to come up with solutions that best fit the needs of the subdivision and the client. 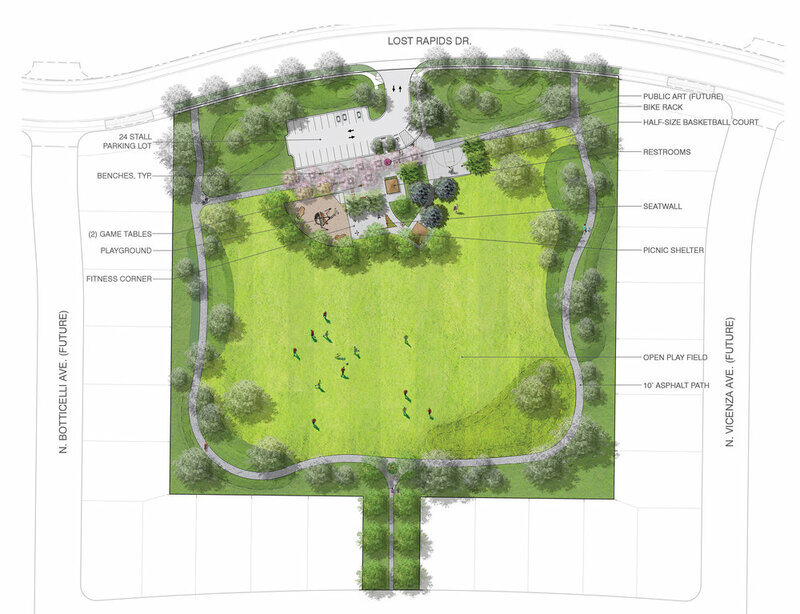 The centerpiece of Bainbridge Subdivision is Bainbridge Park; a community public park developed collaboratively between The Land Group, the project developer, and the City of Meridian Parks and Recreation Department.